A month after it suspended operations in Nigeria, Mavrodi Mondial Moneybox (MMM), a Russian Ponzi scheme with More than 2 million participants in Africa’s most populous country, is already plotting its comeback. MMM claimed it had to temporarily close operations due to the “heavy workload” on its system. It, in turn, blamed the government and media for stoking fears and causing “constant frenzy” with warnings aimed at dissuading Nigerians from participating in the scheme. Government bodies, like the central bank, warned Nigerians against committing their cash to “fraudsters”. 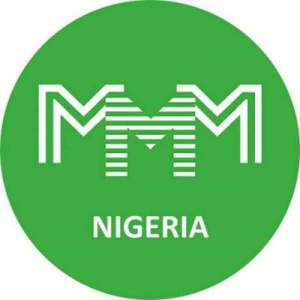 But despite the government’s best efforts, MMM grew popular and thrived with a simple working model: participants committed to sending money to other participants and, after a month, they got their cash back, plus 30% interest, from other participants. Since suspending operations in Nigeria, MMM has also set up shop in neighbouring Ghana, offering similar 30% monthly interest rates. And participants in that country have already blamed the scheme for financial mystery. The scheme has been controversial around Africa and other parts of the world because like most Ponzi schemes, the lending chain eventually collapses and thousands of people can lose money. It’s a scenario the Nigerian government would be keen to avoid, but given the tough economic conditions in the country, many participants are willing to take the risk. To appease its Nigerian participants who faced the possibility of losing cash they’d put in the scheme, MMM promised to resume operations on yesterday, Jan. 14. So far, the scheme appears on course to keep its promise, but there’s an added twist. In a letter to its participants, MMM says upon resumption they will now be able to pay and receive money in bitcoins, the digital currency. To ride on the advantage of no country’s central bank control of the internet currency. While MMM participants could previously provide help through bitcoins, they were paid back in naira, the Nigerian currency. MMM cites bitcoin’s steady growth in value as a reason for participants to adopt the currency. “In a month, not only 30 percent will be added to your initial amount, but, it can increase itself due to Bitcoin price growth,” MMM said in a letter to participants, according to reports. The scheme also tells participants they can convert bitcoins to naira whenever they please. According to Quartz, MMM’s strategy of using bitcoin as a cherry-on-the-cake inducement ignores the currency’s sharp drop in value since the beginning of the year. A result of warnings from the People’s Bank of China about risks of bitcoin exchanges, the currency has suffered double-digit percentage drop in value in 2017.